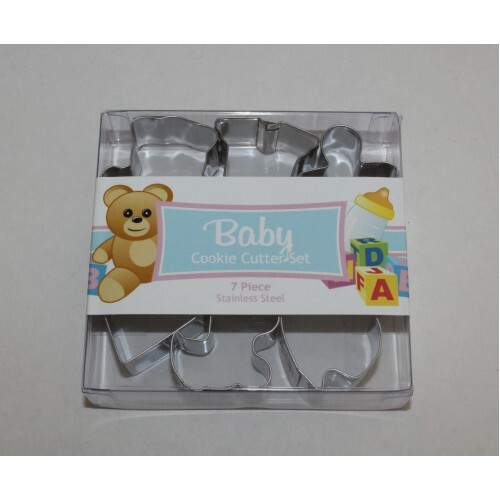 This boxed set of mini cookie cutters includes shapes of a teddy bear, rocking horse, heart, pram, baby bottle, baby onesie suit and gingerbread boy. 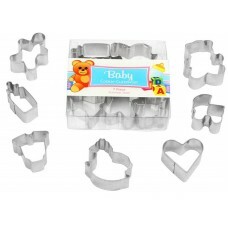 Use to make a variety of tiny biscuits for a baby shower or 1st birthday party. 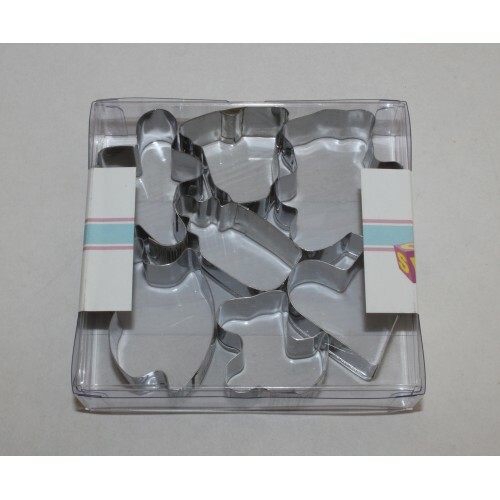 Made from stainless steel these cookie/biscuit cutters are rust resistant. 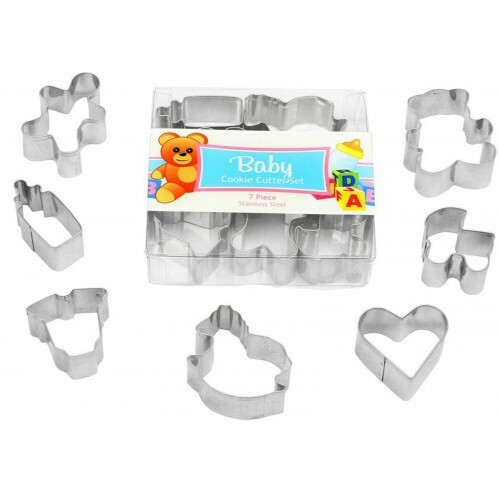 Bake delicious home made biscuits using this cow stainless steel cookie cutter, together with our ho..